During the past 20 years, Kim Buell has worked with her hands making art that is inspired by nature, people, and everyday experiences. During this Meet & Greet, Kim will answer everyone’s questions about her photography, her process, and her inspirations from nature. 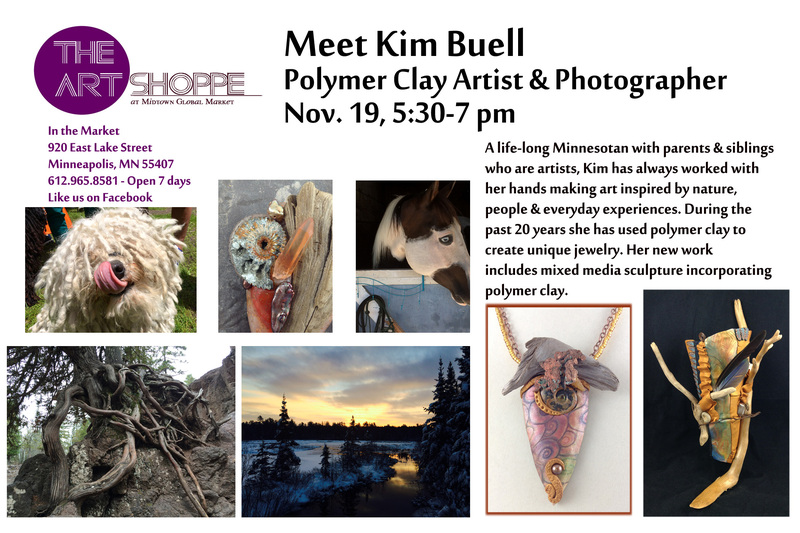 She will also talk about the jewelry and other objects that she creates from various forms of clay. The Art Shoppe’s North Wall is full of Kim’s photographs. Come and see them.